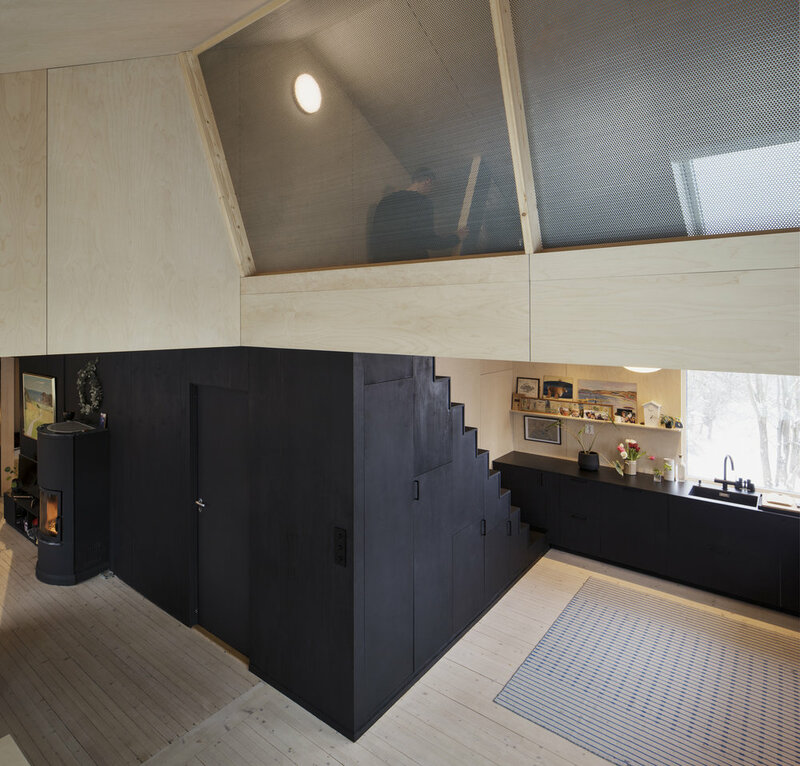 Designed by Norwegian firm Austigard Arkitektur - House of Many-Worlds is a beautiful and minimalist residence in Oslo. The space may be small, but this space have cleverly been designed with multi-functional rooms to maximise space. With the Scandinavian nature right outside, this property is truly the ideal family home. Words from the architect: A large family table forms the centre of the apartment. This open, double-height space is dominated by the wide outlook to the treetops outside, where well accustomed squirrels and birds frequently show up. The dimensions of the table alone allow family members to do be occupied with different activities around the same table – chatting, eating, doing homework – without interfering with each other, in the same social situation. The loft is designed for sitting and lying, with a wide, multifunctional bench/bed/table and low windows. In a standing position, the loft space feels confined, but in a sitting or lying position the space becomes wider, while the proximity of the roof provides a sense of comfort and intimacy.